First of all, make sure you satisfy your customers at all stages of their journey. What we want is action — but to achieve it, we need to focus on the previous three as well. It is important to keep in mind users who still do not have our brand in mind, but do have a specific problem. That is why your brand should be visible at all phases of the buying process. How do we do that? Matthaus invited us to learn from the most successful case studies he discovered. This means that the Lowe’s brand is with its potential buyers at the very early stages of their buying process: when they’re trying to learn how to approach a specific renovation project. Lowe’s helps users solve their problems and at the very same time they are building their image and brand. 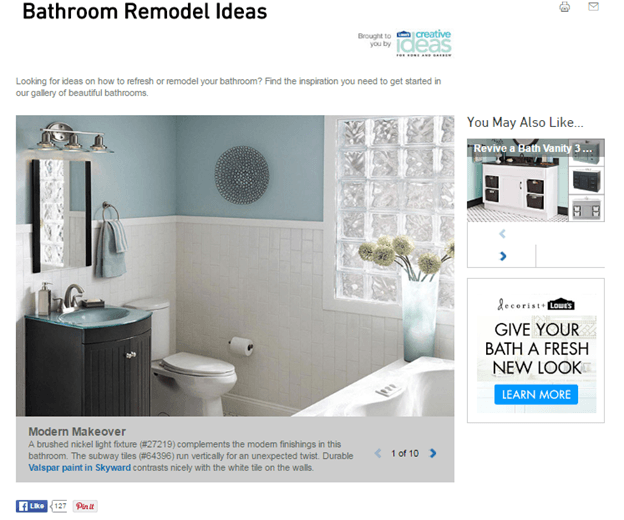 Customers can get ideas for renovating by visiting Lowe’s site, and, at the same time, can realize these ideas by buying products from Lowe’s. Crutchfield is a retailer that specializes in electronics. At the very early stages of the buying process, a customer has a lot of questions. What are the differences between models? What are the differences between the technologies behind different models? Which model is best for me? This phase is a good opportunity for brands to guide customers through their journey. So, Crutchfield guides their customers by explaining the difference among different technologies and help customers to find the best solution. Moreover, Crutchfield guides customers through installing their newly purchased products. For example, it may explain how to wall-mount your flat-panel TV. This means its site contains everything that customers need at every stage of the buying process: from choosing the right technologies to using the products they’ve purchased. Rick Steves is a well-known guide who specializes in European travel. Rick Steves' site contains a lot of useful content to help travelers, including guides on planning their journey, finding a good hotel in Europe, transportation options, etc. The main lesson here: don’t let your customer leave your website to look for relevant information somewhere else. Rick Steves' marketers thought of the traveler’s every need -- from pricing tickets to weather forecasts. Case 4. Noblego: Cigar Shop. Noblego is a German cigar shop. To attract more visitors, they issued a book for beginners who are still far from converting. Noblego also does a good job of assisting customers during the purchasing process by providing all the necessary information. So, we covered some successful examples of content marketing in this post. All these sites have one particular feature in common: they provide (potential) customers with the comprehensive information they need at every stage of their buying process. So how do you think of every little thing your customers will want to know? In other words, how do you get content ideas? Consulting with your product support team — they receive calls from customers experiencing technical problems everyday. 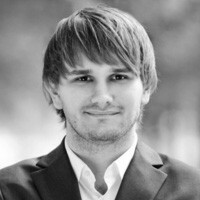 Matthaeus Michalik is a senior consultant at the digital marketing agency Performics AKM3. Matthaeus develops strategies for large international brands, optimizes their websites to increase their organic traffic, and performs App Store optimization. Stay on par with expertise of world known experts. Register for our free online marketing conference now!